Earth Day: A Celebration of Peace April 26th Please be sure to mark your calendar for our Earth Day celebrations on April 26th. 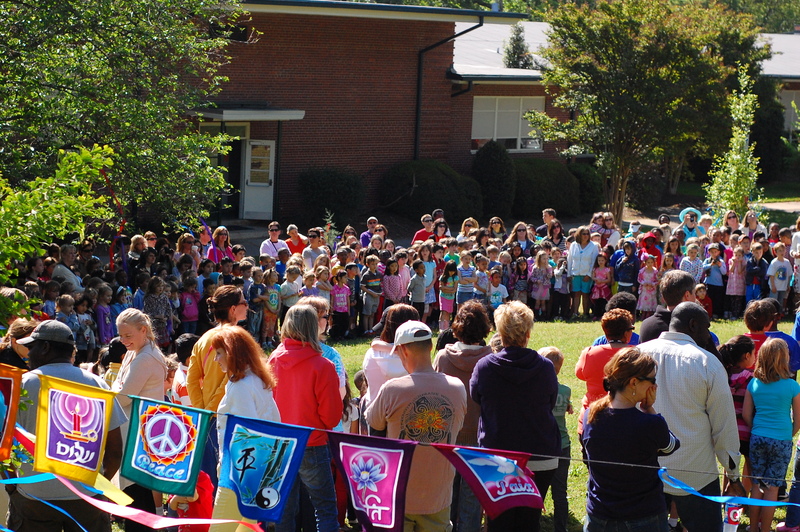 Our annual celebration of Peace will begin at 9:30 on the front lawn with our Peace Day ceremony. Following the ceremony parents can join in helping classes in their community garden or join our wonderful and hard-working Ms. Charlotte to help with some of the larger projects on campus. Earth Day Is Also Gardening Day As part of our Peace Day/Earth Day celebrations we hope you will join us for our campus garden day. 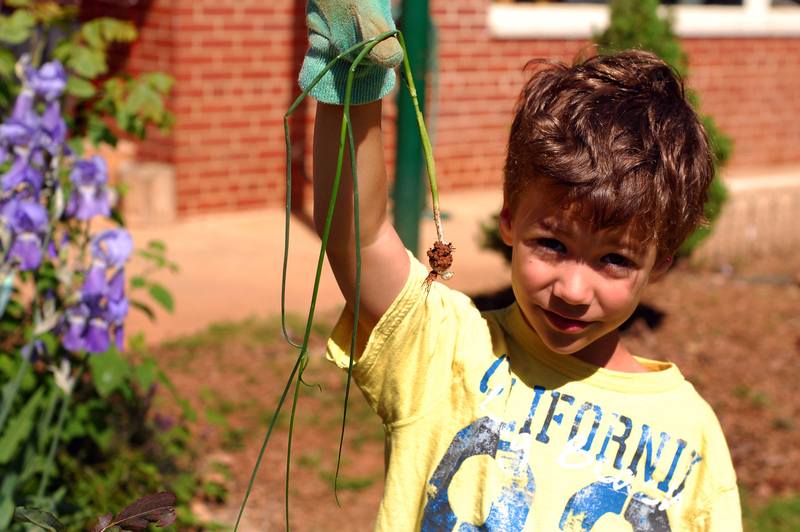 Contact your child’s classroom teacher to see if they have any special garden requests. We hope you will work with students to help beautify our school. We have mulch, carts and tools you can share, but it is always good to bring your own. Ms. Charlotte will be available for any garden questions you may have. Be sure to check in with her when you are done with classroom gardening and she can guide you in how to help on projects for the wider campus. It is hard for Ms. Charlotte to be everywhere at once and she needs help coordinating tool use and overseeing some campus projects. If you are willing, please email her or meet her at the front doors as soon as the Peace Day ceremonies are done. 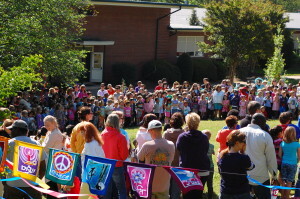 We gather on our front lawn for a short ceremony to celebrate Earth Day. We invite all who want to join in this special occasion and welcome the media to cover our peaceful celebration. After our ceremony, children will return to class and begin gardening around the classroom. Mrs. Charlotte is a wealth of knowledge in help determining a weed from a valuable plant. She may also have larger projects needing a few additional parents. We encourage parents and other family members to help pitch in to help beautify our grounds.